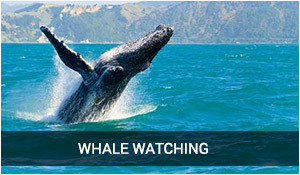 Imagine a Romantic Carmel CA getaway where pristine coastlines and tranquil, turquoise beaches await! Welcome! We are more than excited that you have found your way here! We love sharing our insider travel adventures with our readers, and hope that you find these pages to be the definitive resource that will help you enjoy that much deserved perfect vacation getaway. Whether it's a day trip, a weekend escape, or a week long romantic journey ... you have found the insiders edge in these pages that will help you make your escape the perfect vacation. Beautiful Even On A Misty Day! 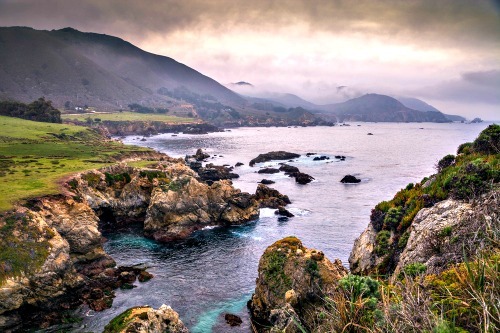 There are parts of this California coastline that really are a well kept secret. If you know where to go, the experience here can be so much more than you expected. A place where you might actually learn to reclaim the lost art of relaxation and to re-prioritize your time, your dreams and maybe even your relationships. Best of all...it's a destination that will soon be far far away from the challenges and diversions of daily life ... and an escape that might well provide that peaceful, tranquil and calming experience, that will leave you with a lifetime full of memories. #3 This is an insiders view of what makes the Carmel Coast magical, but your stories are what brings the depth to this site. We get a little "texty" at times because there is so much to share, but we would love it if you contributed to our blog and shared your own stories. What if that Carmel getaway changed your life a little bit for the better and what if those things you thought were important ... became something different? This charming and engaging bohemian ocean front community of Carmel by the Sea might just be the place that catapults you toward becoming a more relaxed and contented person. Visited by Bohemians, artists, and writers for almost a century, there is something intangible here that you can feel...and after awhile, it gets into your bones. 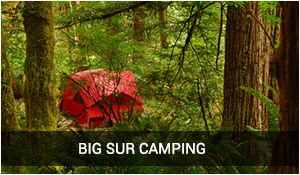 Everything you need is here in Carmel California. It always been here and is now easily within your reach. It's just a matter of discovery. Emerald Green And Blue Vistas Around Every Corner! This is a place where you will be amazed by the natural beauty and the feeling of stepping back in time. Classic cottage architecture and uncrowded beaches where there are secret spots where you can still build a fire on the beach and watch the sunset without violating city ordinances. Where you can discover the best four egg chicken habanera omelets and waffles on the planet ... where the person who serves your appetizers might well be the owners who would enjoy retelling the history of how they grew their business. Carmel is one of those places where you could enjoy a pleasant dining experience and not break the bank, and where you could stay in a 1940's vinatge lodge with a roaring real wood fireplace in the cocktail bar, and listen to acoustic guitar music that will lull you into submission. 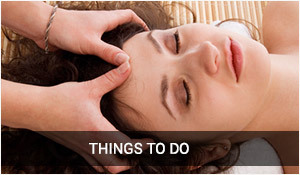 It's also a destination to indulge in a traditional spa getaway, or an extended dollar conscious Scandanavian spa adventure lasting for hours and designed for both of you. The Carmel coast open up opportunities to experience new coastal cuisine that may change your thoughts about simple, but elegant dining. During your stay, don't miss a sampling of this areas emerging microclimate wine varietals. Take an in town four block tour of seven local wineries or spend a day in Carmel Valley exploring the wine estates that dot the valley floor. 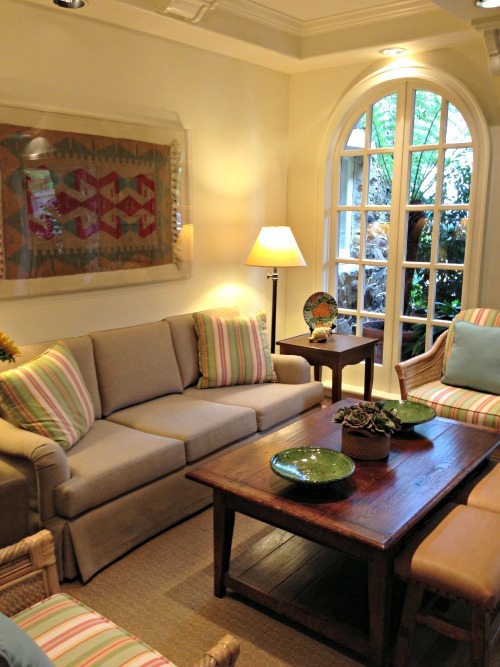 In the town of Carmel, consider the Cypress Inn on Seventh Street, a vintage classic addition to Carmel-by-the-Sea with a very friendly staff that are well skilled at catering to your every need. Still owned by the famous movie star and singer Doris Day, you'll find their inviting fireplace, and nostalgic setting as well as proximity to very fine restaurants, the beach and shops, makes this an outstanding choice. It's no wonder that Conde nast travel magazine and Trip Advisor just fall over themselves when describing all of the scenic wonders, culinary adventures and amazing places to stay that are available here. 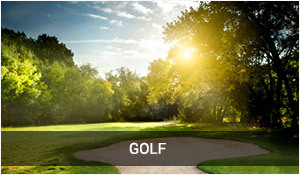 Whether you are looking for high end luxury or shoestring adventure, it's just a few steps away from your doorstep! This is a magical and peaceful stretch along the Romantic Carmel California central coast where you will be surrounded by quaint shops, rugged coastline vistas, redwood forests that are almost extinct in the rest of the world, all of it extending from Carmel to Big Sur and capturing what has been called by John Steinbeck "The most beautiful meeting of land and sea in the world." 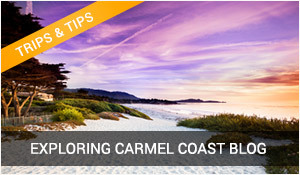 You will not be disappointed by the beauty and the grandeur of this stretch of Carmel California coastline. You'll very likely find yourself smiling more, and maybe even rediscovering that you can still be playful and spontaneous. 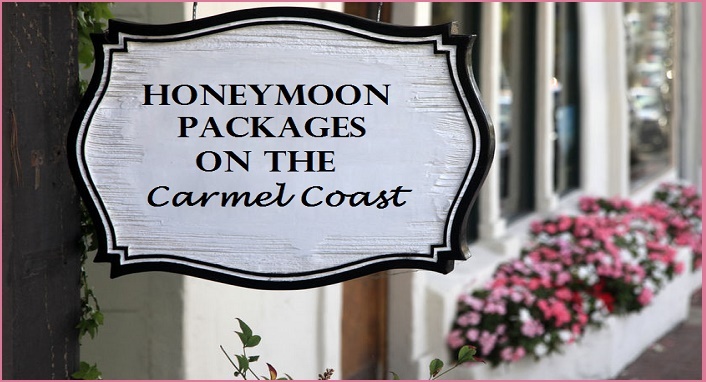 It can be overwhelming to plan a getaway, but a Romantic Carmel California vacation can be much easier to plan if you have a trusted, expert, that's me, leading you toward your decision making. ...where to get your toes in the sand, where the best sunset cocktail are to be found, where the best and unknown adventures lie...places down alleys in Carmel that the locals won't tell you about and restaurants where they know your name and what you like. What a place for the adventurous traveler! 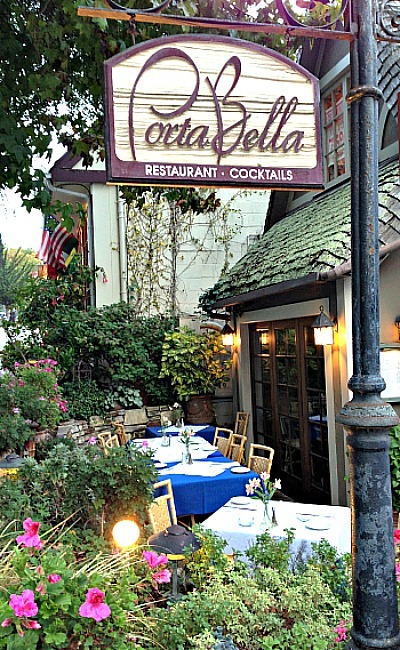 Dine at Portebella on Ocean Avenue just around the corner. This is probably my first choice for lunch in Carmel. Say hello to Luiz. (See the video on the restaurants tab). ﻿Luiz is always standing at the front door welcoming guests with a sincere, and I emphasize sincere, goal to make your meal a memory. On my last visit I sat next to a couple from Holland who told me that they often fly directly into San Francisco and then immediately make their way to Carmel, and before anything else ... visit Luiz and have their favorite Portebello Mediteranean restaurant special. Luiz is a great conversationalist and will tell you about the history of this place and the stories of Bing Crosby and the creatures of the night that used to own this establishment. It was once a bar and then an art gallery ... and now probably one of the best informal restaurants within five miles. If you go here be sure to ask Luiz for his recommendations (The duck ravioli is wonderful). If you lucky, the owner will be there as well to make sure everything is just as you expected. This is just a brief glimpse, a tiny sliver, of what you might enjoy when you visit this very unique part of the Carmel coast. 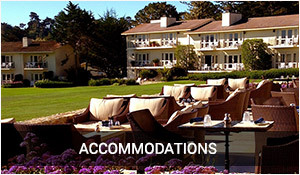 There is so much to experience and discover in this charming town called Carmel California, and if your like most, you will leave more rested, more peaceful and more calm than ever before. 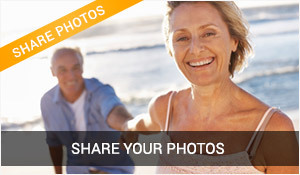 A Romantic Carmel California getaway is just a few clicks away! 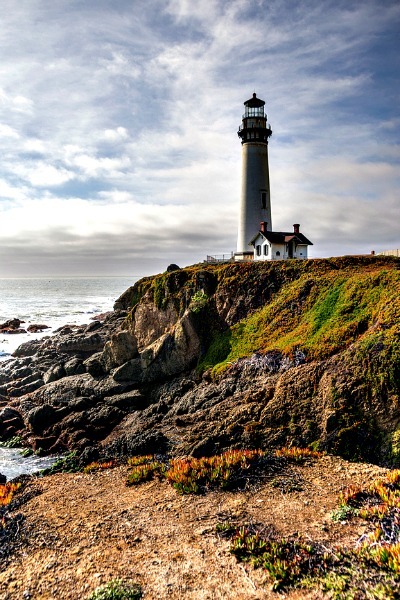 We hope you enjoy learning more about this slice of the California Coast.